Our goal is to provide the finest in dance programming for students ages 2 - 18. We take great pride in our community and we believe that our dance school is more than just a place to learn dance. We also hope we can inspire and motivate students to set high standards for themselves in and out of the studio, and we aim to help them reach those goals. 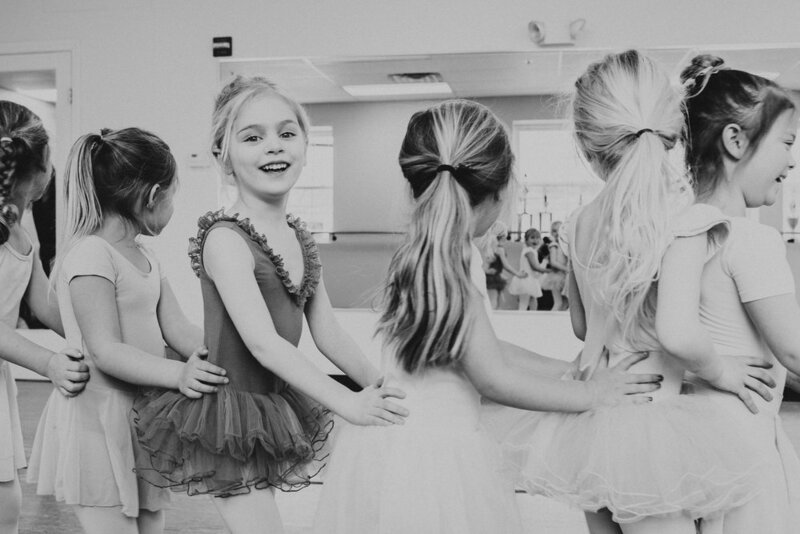 It is a testament to our sense of community and our commitment to the whole child that many of our dancers have taken their first steps with Miss Tricia in her Parent & Tot classes and have continued to dance at On Your Toes through high school. Our classes are led by qualified and compassionate dance teachers who have many years of professional training and teaching experience. Though our faculty comes from a variety of dance backgrounds, they all share a passion for the art and are dedicated to creating a nurturing environment that cultivates creativity and ambition in our students. The On Your Toes dance year runs from Monday September 10, 2018 to Monday May 6, 2019. We offer weekly conservatory classes for beginner to advanced level dancers. Our school year program includes classes in ballet, jazz, lyrical, contemporary, hip hop, and acro, as well as technique and muscle conditioning classes. Learn more about our school year programs and view our 2018-19 schedule.